9989 State Highway 180 W.
Fresh baked pizza delivered to your door. No lines, no waiting, no traffic jams. 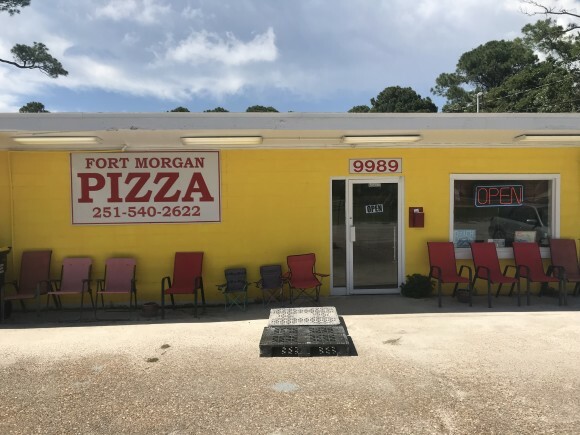 If you are in Ft. Morgan, you are within ten minutes of a great pizza. We offer delivery to your house or condo as well as carry-out. We also offer TAKE & BAKE. Pick up a great pizza up and bake it whenever you want. No matter if it's pick up, delivery, or take and bake, order early and spend more time at the beach. We accept cash or checks only.